GATTON may be a long way off being the crime capital of the world, but local police and the Lockyer Valley Regional Council are staying vigilant, doing everything they can to prevent lawbreaking. Two upgrades costing almost $200,000 have been committed to the area, which will go towards the LED lighting upgrade on Railway St and lights in Centenary Gardens. Gatton Police Officer-In-Charge, Senior Sergeant Rowland Browne said the upgrades weren't in reaction to a crime increase, but would help in reducing anti-social behaviour and the possibility of crime in the future. "I wouldn't say anywhere in Gatton is a problem area," Snr Sgt Browne said. "Gatton does get crime from time to time, but it's not a place where you need to fear going out at night. "The upgrades are really just to increase public safety and to deter offenders." While reported crime is generally low, several Railway St businesses including Infinity Workwear and Safety and the Gatton Pharmacy said theft was definitely a problem. Infinity Workwear and Safety Employee Zoe Morris said people often stole smaller items in store. "We also have had people come in to try pants on and try to leave their old pants in the change room and walk out with new pants," Ms Morris said. Gatton Pharmacy Owner David Cullen said they have measures in place to actively prevent shoplifting. "Retailers take theft seriously, we seek prosecution and we seek restitution," Mr Cullen said. "When people do steal, we have their image on our cameras and we share it with the police." As a result of reporting theft to the police, the pharmacy was recently reimbursed for perfume that was stolen. Snr Sgt Browne said it was vital people report incidents to the police so the crime could be solved. "When they do report it to us we generally have a very high detection rate," he said. 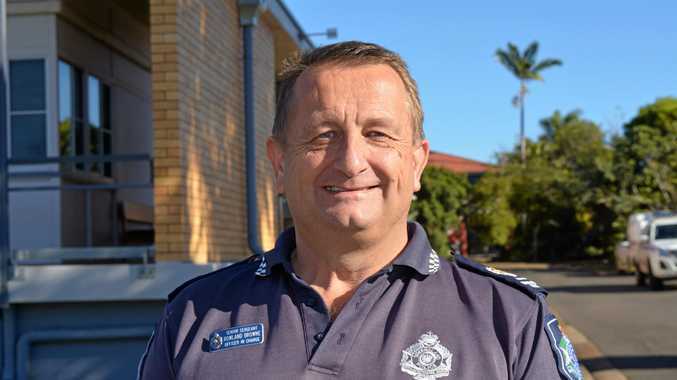 A Lockyer Valley Regional Council spokesperson said the council worked very closely with Queensland Police Service to obtain the grants to ensure the community is safe. "This is a proactive approach," the spokesperson said. If you are aware of any crime in the area, call Crime Stoppers on 1800 333 000.